The Alcoholism Disease Argument - Is Alcoholism Really a Disease? 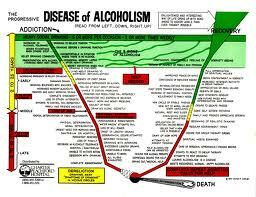 There are a lot of contrasting opinions out there for the alcoholism disease concept. Some say alcoholism shows all the same characteristics as a disease and therefore alcoholics cannot be blamed for their addiction because it’s something they have no control over, much like you have no control over contracting cancer. Others feel that this is an easy way out, that it allows addicts to absolve their responsibility from their addictive behaviours, that addiction is more a state of mind than anything else and that it’s a matter of will in choosing to overcome an addiction. Alcoholism as a Disease ... Can it be Classified as One? Now alcoholism for those that support this view, see it as likewise in that alcoholism can also be regarded as primary, progressive, chronic and fatal. Is it primary? Well, alcoholism is a describable and identifiable condition that causes other physical problems like liver damage and malnutrition so it can be regarded as an illness in it’s own right, therefore making it primary. As for it being progressive ... alcoholism definitely tends to get worse over time so there can be no arguments about that one. It is also something that stays in the body, whether or not a triggering substance has activated it, whether it be alcohol or another drug. An alcoholic who has been clean for a couple of years and relapses again will experience drinking like he hasn’t had that break for two years. In other words, your body responds as if you've continued using all that time even though there was a break for two years. In the case of drug addicts who have stopped and come back to using after a period of time often end up overdosing because it feels like they haven’t been away, but their body actually can’t handle the doses they’re putting in anymore. Alcoholism is also unquestionably chronic because it is a condition that gets worse over time and is long-lasting or recurrent. Many expers say it can be arrested - but never cured. And as for it being fatal, most definitely. We all know that alcoholism kills - and that many people die from this terrible illness every day. So there we have it, is alcoholism a disease? It certainly seems to meet the criteria for a disease or illness and is increasingly being recognised as such. Even if some argue the only reason that's the case is because those who call it a disease have a vested interested in doing so - they're the one's who also get to treat it and they make substantial profits in doing so. Go and read this Drug Addiction Disease piece as well, where I'll discuss the argument for those of you that think alcoholism or drug addiction is just a state of mind or sign of weakness ... and give you my thoughts on all this as well. The Alcoholism Disease Concept - Fact or Fiction? Enter the Title of Your Opinion - for example "Alcoholism a Disease? No Way!" Alcoholism Is Not a Disease, Period. The Addiction Disease Theory is Nonsense!!! Addiction: Primary Medical Disease or Symptom of Moral Shortcomings? Alcohol is an Addictive Substance, like Nicotine, Drugs, Coffee, etc. So is Addiction a Disease? No! We Are All Responsible for Treating our Diseases including Alcoholism and Drug Addiction! Alcoholism is an Addiction Not a Disease. Alcoholism Will NEVER Meet the Criteria to be Labelled as a Disease! Alcoholism is NOT a Disease In and of Itself. Alcoholism - Disease or Not? Alcoholism is a Disease, and Drug Addiction is a Choice? I'm not a Bible thumper, but the Bible says drunkenness is a sin. How can a disease be a sin?